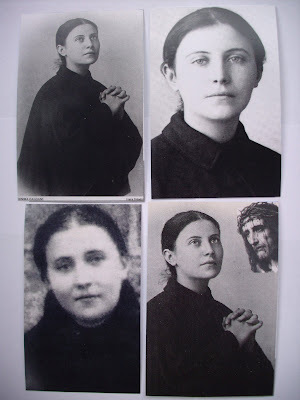 For those devoted to Saint Gemma and as a additional fundraiser for this website, I am offering 4 new Saint Gemma holy cards taken from authentic photographs. These are high quality photograph cards printed on heavy card stock, with a prayer to St Gemma on the back. They are full sized photo cards, 3-1/2" x 5". Each card is touched to a 1st class relic of St Gemma, asking her intercession upon those who recieve them. 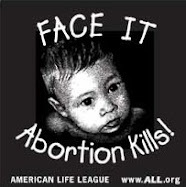 The 4 cards are $7.00, plus $2.00 shipping worldwide=$9.00 total. I endeavor to ship within one day. *All proceeds will be used for the benefit of this website. 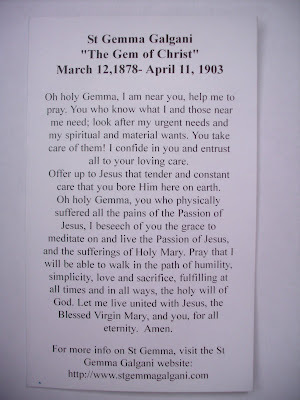 For those interested in receiving a St Gemma relic holy card along with the 4 cards and prayer pamphlet click here for relic holy card package. 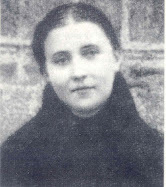 Along with the 4 holy cards above, I am including for free a small St Gemma prayer "pamplet" that has a prayer to St Gemma on the inside, along with 3 beautiful photographs of her (see image below). I'm looking forward to getting my cards! Thank you so much for this website. It's people like you who make the "science of the saints" available to those who are looking for it. 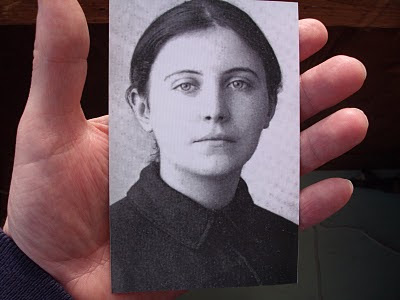 Thank you so much for your donation/purchase of the St Gemma Galgani holy prayer cards, the proceeds of which benefit the St Gemma Galgani website. 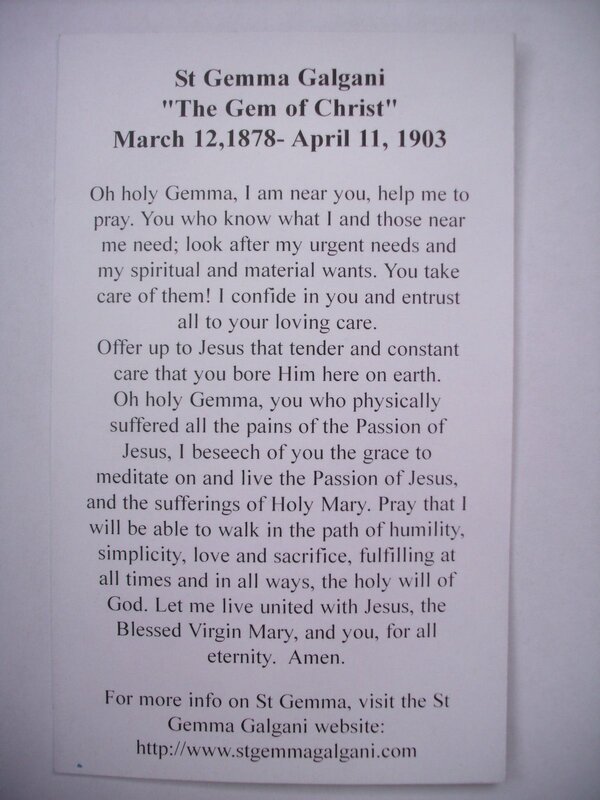 Each holy card is touched to a 1st class relic of St Gemma, asking her intercession upon those who receive them. I mailed out your St Gemma holy cards this morning. Thank you once again and may God bless you and yours! I have been reading about this great Saint and asking for her prayers for years. 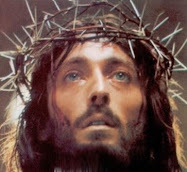 Its good to know there are others out there who venerate this remarkable servant of Christ. Thanks for your comments. 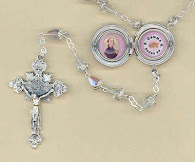 It is wonderful to hear that you have been devoted to St Gemma for many years. May St Gemma be your special friend and advocate always!